of Our Lady of Fatima, on May 13th 2005? A memory of great joy. Of joy for two reasons. 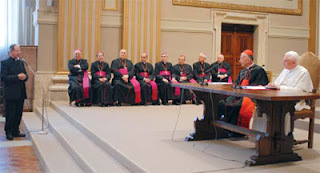 It was the first meeting of Pope Benedict XVI with the clergy of Rome and also the day when I learned that the Pope would announce his decision to give the derogation to eliminate the five-year period that is the interval between death and the beginning of the process of beatification and canonization of John Paul II. Through this decision one can say that it was respected the invocation ‘Santo Subito’, that everyone remembers and that was invoked in St. Peter's Square from the crowd the night of the death of Pope John Paul II, when Karol Wojtyla died. That cry of the people was collected and properly channelled into the procedure of the Church that rightly so must be rigorous about the assessment of the candidate that must pass this process of beatification and canonization. Cardinal Ruini what do you remember about your first encounter with Karol Wojtyla? I remember very well my first meeting with him. It was the Autumn of1984. The Pope was Pope for already six years and I remember very well that I was very amazed by this invitation because it was the first time in my life that I was going to meet personally a Pope. But soon I found myself faced with a very spontaneous person very friendly that was asking a lot questions, precise question, very difficult question. So that meeting turned to be a business meeting concluded with a dinner. It was a meeting, that with the passing of time I felt more at ease. I almost forgot that I was talking to the Pope which appeared with that simplicity and frankness. 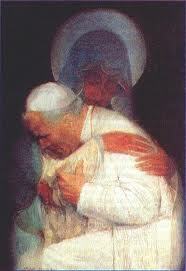 What can one say about his love and devotion to Mary of Nazareth? In fact in a poetic composition from his youth entitled Magnificat, Mary's prayer, which Karol Wojtyla had written when he was 18 and later published, he says that God is great in carving out saints. God had carved a saint out of a tree trunk and that saint was him. He was the boy who said that he had miraculously preserved his youth. We can make out at once that John Paul II felt that his devotion to Mary was a gift through which he felt his call to sanctity. 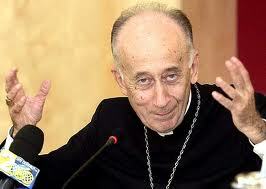 We can also say that he became aware of his call to sanctity before his call to the priesthood. 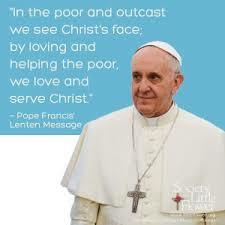 This phrase expresses the Pope's profound soul. The Pope believed that when he gave himself to Mary and accepted her gift, through whom God had brought about the humanity of Christ, he could gain a better approach to God. In this way he established a better relationship with the Son of God, the Son of Mary who is Jesus Christ. In this way he achieved his preparation for his destination, the Christian vocation. 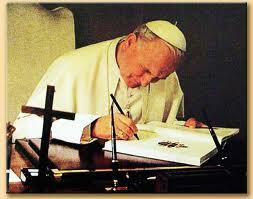 Is there something of the personality of Pope John Paul II that you are so impressed of? Yes for several things. I would say for all his great, and deep humanity. A humanity that is then concretized in the concern for others. This great ability he had to be close to the people. For his great passion for the Gospel and behind all this it was visible, it emerged his secret. That was his great relationship he had with God. Naturally, this relationship could be seen very clearly, when he could be seen praying, but one could even see it when someone spoke with him. Because all things, even the most practical, the most concrete, the most difficult, were always addressed by him in the light of faith. Eminence, how did John Paul II influenced by his teachings and encyclicals today's postmodern culture? I would say that he has influenced it above all, in a sense. He helped us to understand that the secularisation, the detachment from the faith, from Christianity is not the fatal and inevitable destiny of our era. The Pope responded, first of all for this, and has changed this feeling and so has given back the confidence to the Christians to live their faith, but also the courage to bear witness to it. One cannot forget his initial invitation 'Open wide the doors to Christ' ... 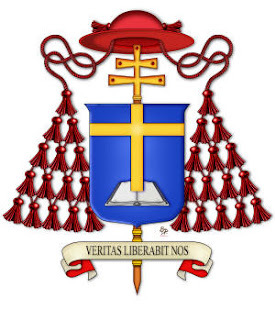 This was the sign, the mark of his pontificate. I think that his influence has given the great depth to culture in this regard. He had understood that historically the secularisation was not a parable who went to infinity. But he certainly helped a lot with his testimony, his writings, with personal commitment, with its intelligence modified this path and reopened the door to Christianity. 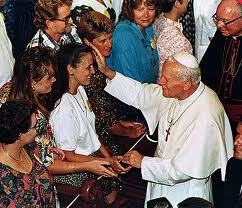 Why the beatification of John Paul II is so significant to the world of youth? 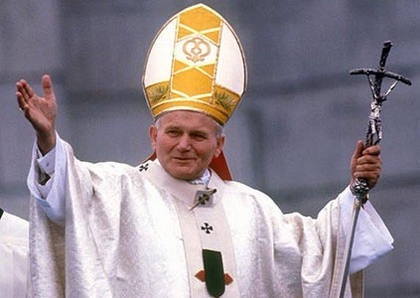 John Paul II was the pope of all of us. But yes, it is also true that the youths were so close to him. Why was he the Pope of young people? Because throughout his earthly life he understood young people. He loved them very much and trusted them. And young people understood this. He became more a point of reference for them and not only a focus of their sympathy and enthusiasm. One recalls that World Youth Days….but not only the World Youth Days… even now six years after his he passed away I believe that Pope John Paul II can be a great help to young people today… primarily helping them to meet Christ and by meeting Christ to look forward with hope and not fall prey to nostalgia.